We understand that every child is unique and valuable. Our focus is on developing character and providing a strong moral center by embedding spirituality into our curriculum. Our students grow in a community of faith that encourages compassion and life-long learning. We help prepare them to be global citizens by sharing their faith, their gifts and their time. 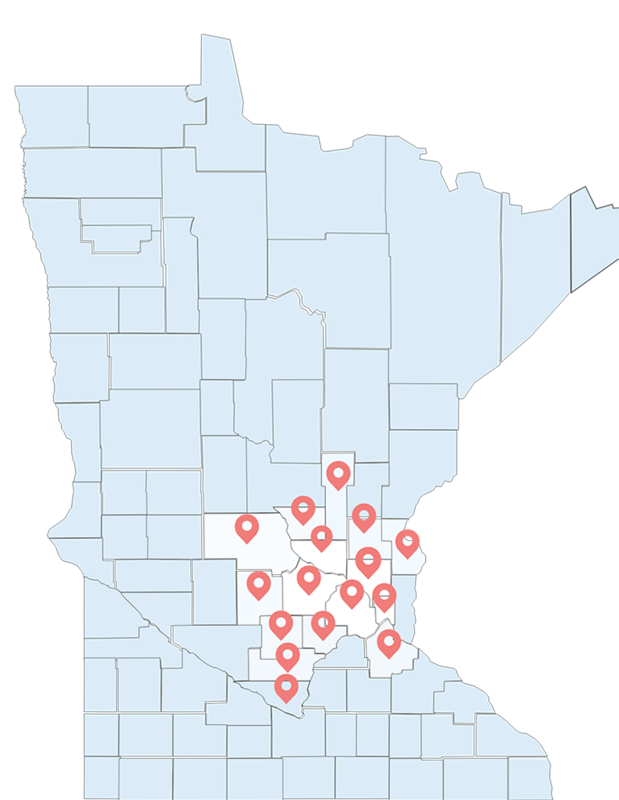 We are proud to serve the Greater Minneapolis-St. Paul metro area. With a 99% graduation rate, Catholic school students score significantly higher than national averages on standardized testing. We provide educational experiences that build character and virtues. We partner with our families to nurture ongoing moral development and the value of serving others. We combine opportunities for leadership with high standards of personal responsibility and a commitment to service to prepare students to be ethical leaders. Catholic schools are committed to the collaboration between home and school to provide a community of faith that supports your whole family. Whether it’s preschool for your three-year-old, or elementary school for your incoming second grader, we welcome all children into our Catholic schools. No matter where you are in your child’s journey, your family can find a home here. Is there a school near me? With over 70 Catholic schools in the metro area, download a directory to narrow down your list. Experiencing a school first-hand helps you determine if a school is right for your family. Use the tool below to schedule a tour at a Catholic school near you. Are you looking for Preschools or K thru 8? Catholic schools in the Twin Cities have an average class size of 16, creating more one-on-one time and better class cohesion. Our schools strive to make Catholic education affordable to as many families as possible.